Recycling old electronics in Goleta, California is hassle-free today. Let All Green Recycling help you with proven IT Asset Disposition Services. Let us recycle your old electronics wherever you are in this city. We know how to deal with your electronics. We have superior IT Asset Disposition services available for you. Our recycling team is always ready, seven days a week. We have secure Data Destruction that is designed to protect your brand. You can now avoid the effects of hacking. Let our Equipment Destruction help you have a strong business shield. Your operation deserves this service. 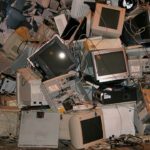 Electronics recycling is a way to make use of the end-of-life IT equipment such as computers, mobile phones, TV sets, and other devices. Those items that can’t be reused nor remarketed should be subjected to the final destruction. However, experts say that most of the old gadgets can be recycled. The process is tedious thus it requires the assistance of an expert service provider. There should be an initial inspection and assessment of technicians. During the destruction stage, a technician put the products through a powerful shredder. There is also what is known as an optical sorting system to filter those products that can hardly be sorted using a manual process. A laser beam is used to identify the properties that are soon be categorized as metals, plastic, and computer chips. If you are looking for a perfect company to help you with this, All Green is the answer. Try our Electronics Recycling Goleta Services today. Schedule an e-waste pickup schedule today by following the link button given below. 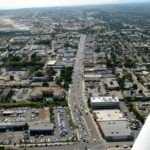 Goleta is a city located in southern Santa Barbara County. 2002 was the year when it was incorporated as a city. There was a long period that this location was considered as the largest unincorporated area in the county. In 2000, its total population was 55,204, but such figure had decreased to 29,888 based on the 2010 census. Disposing of old electronic devices is convenient with the help of an expert company – All Green Recycling. We have the expertise because we’ve been in this industry for many years now. We know what to do with your old computers and other gadgets. By merely calling the attention of our pickup team, your stuff is in good hands. Our Electronics Recycling system is in response to the rising demand to recycle, reuse, and remarket old tech products. It has been evolving through the years. You should trust our brand of service because we use the latest recycling equipment and we implement the most modern know-how in handling, managing your old electronic devices. What to do with the old computers stuck in your basement or attic? You need to recycle them. We can help you with this because it is part of the long list of our premium electronic waste disposal services. Contact us today for more details and information.